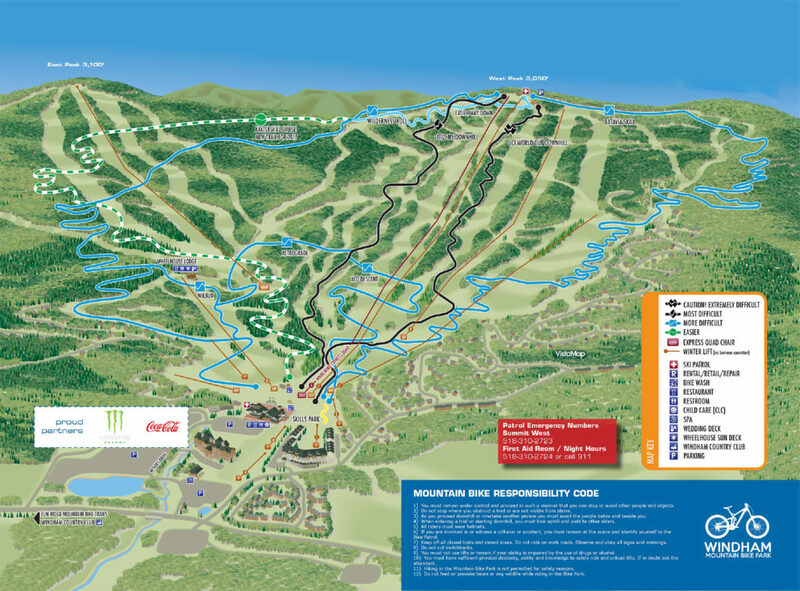 Over the past few years, the folks at Windham Mountain have been putting a lot of loving care into their new bike park! Designed by the same team that built the legendary park at Whistler, it's sure to be one of the best new parks on the East Coast! Warm up with some small features in the skills park and then take what you learned into the real downhill trails. If you've never tried this before we can almost guarantee that you'll be instantly hooked! Ripping through the woods at mach speed on a mountain bike is unlike any feeling we've encountered before. Soon Windham Mountain will be well known for all of the care and time they've put into the bike park, come see what all the hype is about!